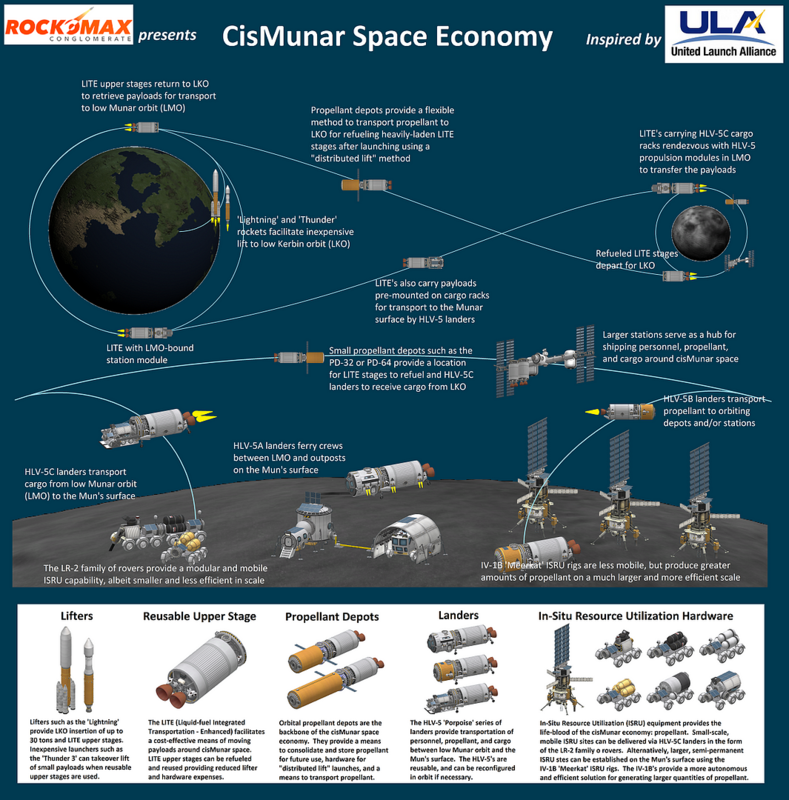 The ‘Camel Hump’ orbital propellant depots were designed as an alternative means of delivering payloads to the Mun, and sustaining them after arriving in low Munar orbit. 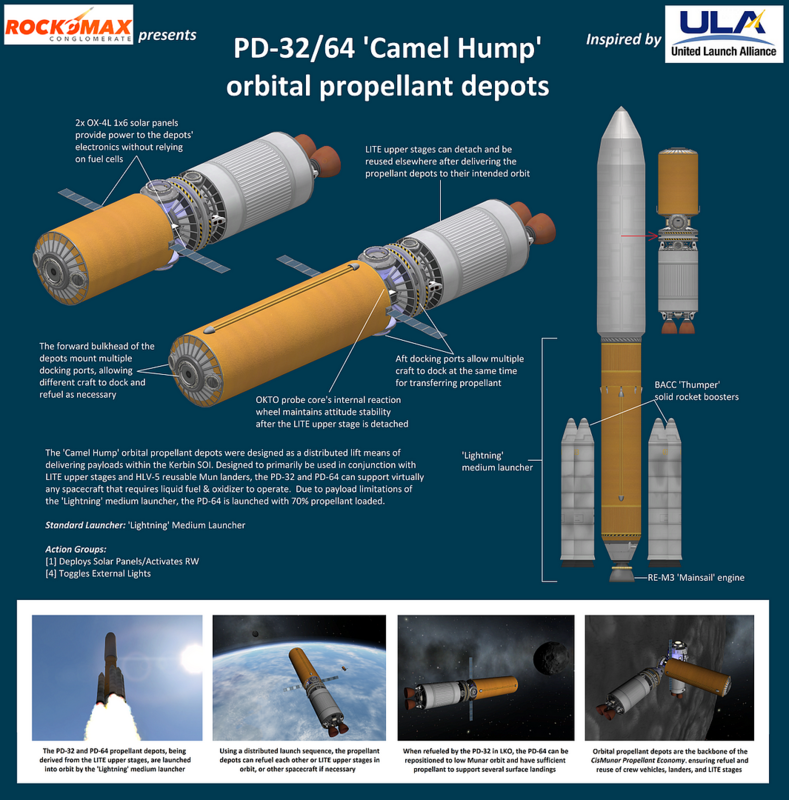 Designed to primarily be used in conjunction with LITE upper stages and HLV-5 reusable Mun landers, the PD-32 and PD-64 can support virtually any spacecraft that requires liquid fuel & oxidizer to operate. NOTE: Due to payload limitations of the ‘Lightning’ medium launcher, the PD-64 is launched with 70% propellant loaded.